Going to the Moon is officially hip again, thanks in no small part to Google, which is offering $20 million to the first private company that can land on our nearest neighbor, roll around a bit, and beam images back to Earth. The latest contender for that sweet sweet X-Prize money is a Japanese company, which has just obtained a launch vehicle for the shiny metal cheese grater rover it plans to send to the Moon late next year. On Tuesday, Google Lunar X-Prize contestant Team HAKUTO, a product of the Japanese startup ispace Inc, announced it’ll be partnering with the India-based Team Indus to get its lunar rover to the Moon. Team Indus already has a contract to launch its own rover, aboard a rocket developed by the Indian Space Research Organization, in December 2017. For Team HAKUTO, whose rideshare with US-based team Astrobiotic recently fell through, the partnership comes just in the nick of time—the window to secure a launch vehicle to compete for the X-Prize closes at the end of the year. 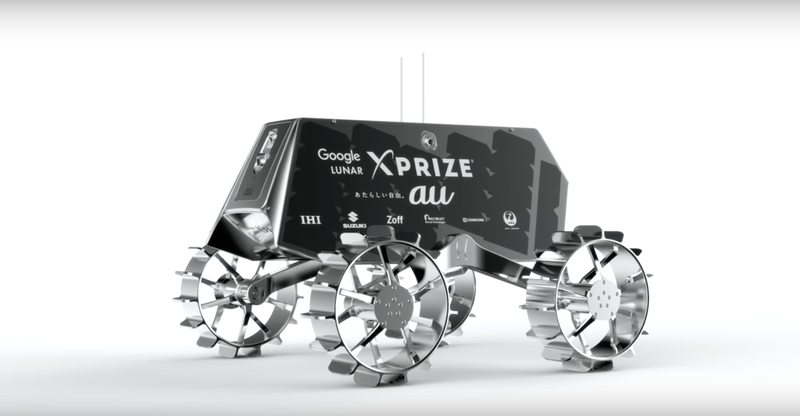 Also known as “NASCAR on the Moon,” Google’s $30 million Lunar X-Prize seeks to spur private companies to develop technologies for crawling around on, studying, and perhaps even strip-mining Earth’s nearest neighbor. The lion’s share of the prize money, $20 million, will go to the first private company that can land on the Moon, do a 500 meters (1,640 feet) -dash, and send high-definition photos and video back to Earth. Another $5 million will be awarded to the second place team, while an additional $5 million of prize money is available to teams that meet “bonus” challenges, which include traveling to the Apollo sites, and discovering water ice. To be competitive, teams must demonstrate that 90 percent of their mission costs are privately funded. The news that Team Hakuto will be competing for the Lunar X-Prize comes just a few weeks after a German team, PT Scientists, announced it had secured a ride to the Moon next year, so get ready for Audi on the moon (no, seriously). The American company Moon Express will also be throwing downwith the blessing of the Federal Aviation Administration, as will Israeli nonprofit SpaceIL. Time is running out for the rest of the 16 Lunar X-Prize teams to buy their tickets to orbit. But even if there are only four contestants, this should still be quite a spectacle.